Provides homeowners with economical protection and security for property, pets and children. Comes with a 15 year warranty! 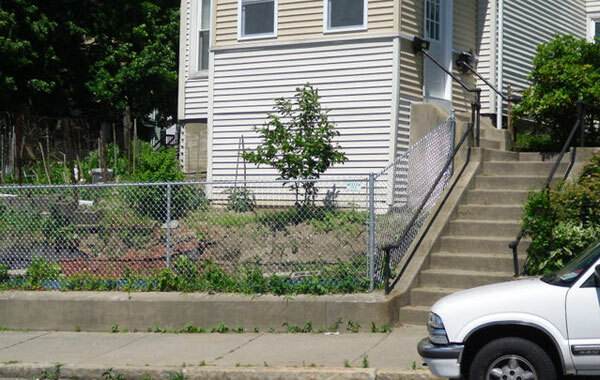 Chain-link systems offer years of maintenance-free, long-lasting protection. They’re easy to install and provide a high level of security. All steel chain-link components are coated with zinc-a proven anti-corrosive agent used for more than 200 years. 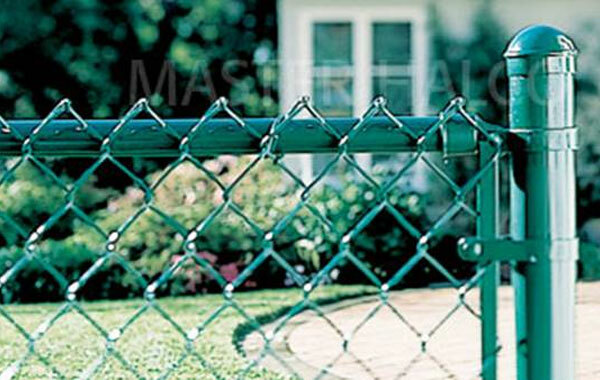 Master Color, the latest generation of residential chain-link fence systems, provides the corrosion protection of zinc in addition to the durability and attractive appearance of polyester and extruded polyvinyl chloride. 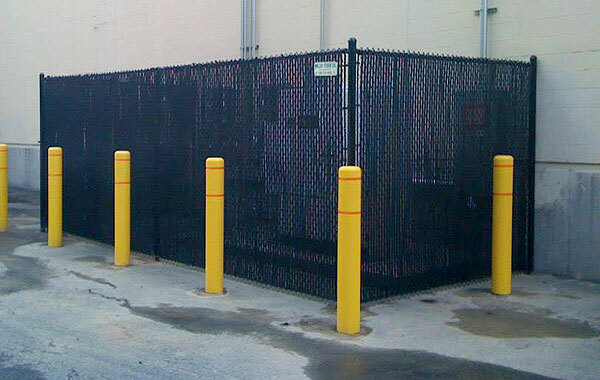 Economically provides protection and security for commercial or industrial properties. Comes with a 15 year warranty! Developed to meet the rigorous requirements of commercial and industrial applications, these systems offer years of maintenance-free, long lasting protection. All steel components are protected by zinc coating, which is a proven anti-corrosion technology used for more than 200 years. Attractively offers protection, security and durability for tennis court applications. Comes with a 15 year warranty! 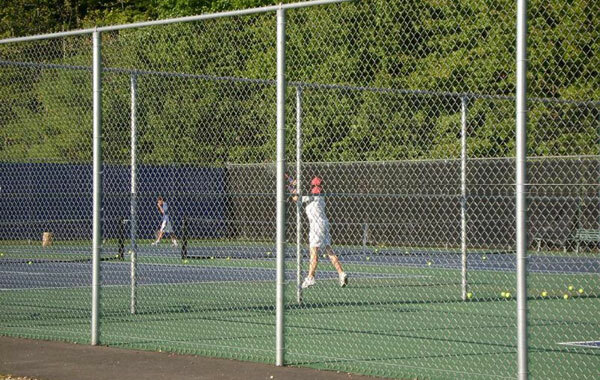 Years of maintenance-free, long-lasting protection have made galvanized chain-link tennis court systems the fence of choice for decades. All steel chain-link components are coated with zinc-a proven anti-corrosion technology used for more than 200 years. 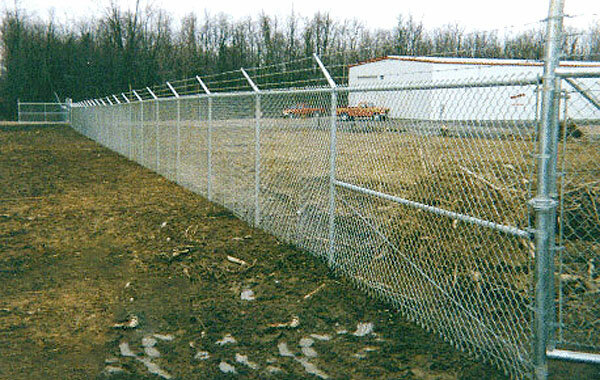 Chain-link tennis court systems are easy to install and provide a high level of security. 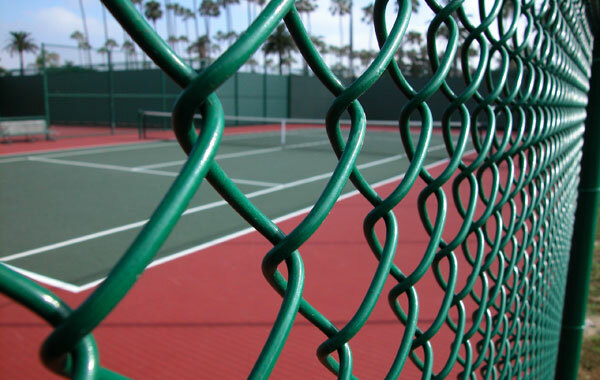 Color Plus, the latest generation of tennis court chain-link fence systems, provides the corrosion protection of zinc in addition to the durability and attractive appearance of polyvinyl chloride (PVC).